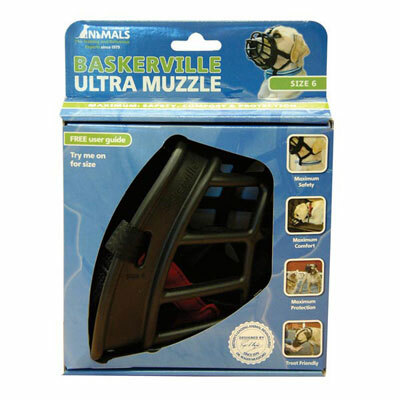 This lightweight Baskerville Ultra Muzzle features a basket design that gives all-around protection, but still allows unrestricted panting and drinking. Optional over-head safety strap should ensure that even a canine Houdini cannot excape this muzzle! Circumference - measure just below the dogs eyes, go all the way around the snout. This should be the widest part of the snout just below the eyes. The length of the muzzle can vary either way about 1/2"